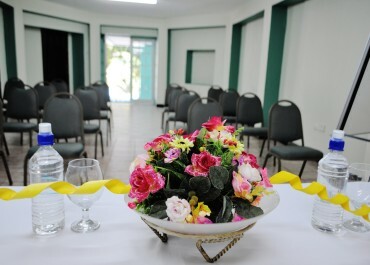 There are several Conference packages based on hourly and daily rates! 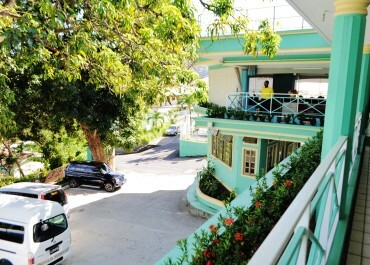 Prices subject to 15% Value Added Tax and 10% Service Charge. 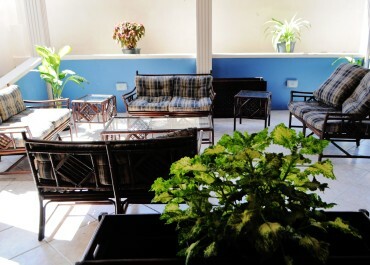 The Haddon Hotel accepts MasterCard and Visa credit/debit cards, bank transfers, and cash. 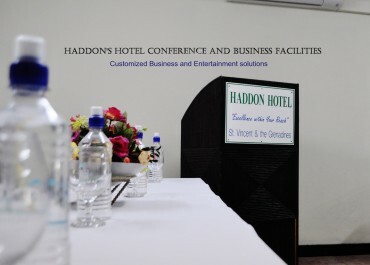 Located near Capital Kingstown, Haddon Hotel provides an ideal venue for conferences, business meetings, board meetings, workshops and other events. 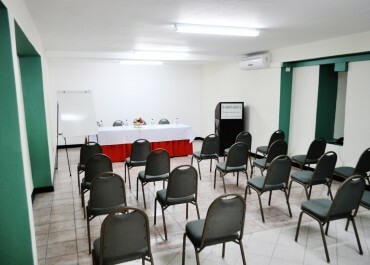 The 610 square foot conference room seats up to fifty theatre-style and twenty-five in U-formation. We provide a beamer and an easel within the rental fees. 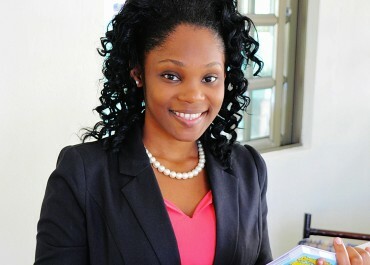 Secretarial services, fax, photocopy and print services are also available. An entirely customized conference package can be configured based on specific requirements. Contact us for further details, discuss custom packages or to request a quote.